One of the most effective ways to attract new clients online is to give them something useful and valuable for free. This could be an eBook, Special Report or even a Video about something that helps them solve a problem or address an issue. Make sure that you give them value, not junk. Think of it like this – if it’s not something that you could sell, then do not try to give it to them. This will create a negative impact on your creditability. Step #1 – Start with a targeted segment in a profitable niche. You want to make sure you attract the right type of prospect. Step #2 – Create/Acquire an eBook, Special Report, Audio or Video that helps your prospects and clients solve their problem. Step #3 – Create a bold headline and your promotional message for your free offering. Step #4 – Integrate a subscriber sign-up form using Aweber, Constant Contact, Mail Chimp or your favorite eMail List Management Solution. Step #5 – Create a 5-7 part Autoresponder Campaign. 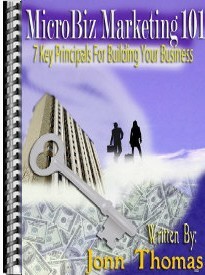 Use this series to establish & build relationship with your prospective clients. Continue to add value by providing free and low cost content that they need address their challenges, fulfill their desires or accomplished their goals. Step #6 – Continue to follow-up, create new campaigns and provide on-going value that will make a difference for them – like new products, programs and affiliate offers. Step #7 – Be authentic, share yourself & your life with your list subscribers. Provide them with insights about your family, accomplishments, short comings and success. Step #8 – Promote your free product offer everywhere you can – Facebook, Twitter, YouTube, Ning, Email Signatures, Article Bio, Post Cards, TV/Radio, Speaking, etc. Step #9 – Encourage your current subscribers to share your free offer with their personal email lists & social networks – like facebook friends, twitter followers, linked-in connections, ning networks, etc.